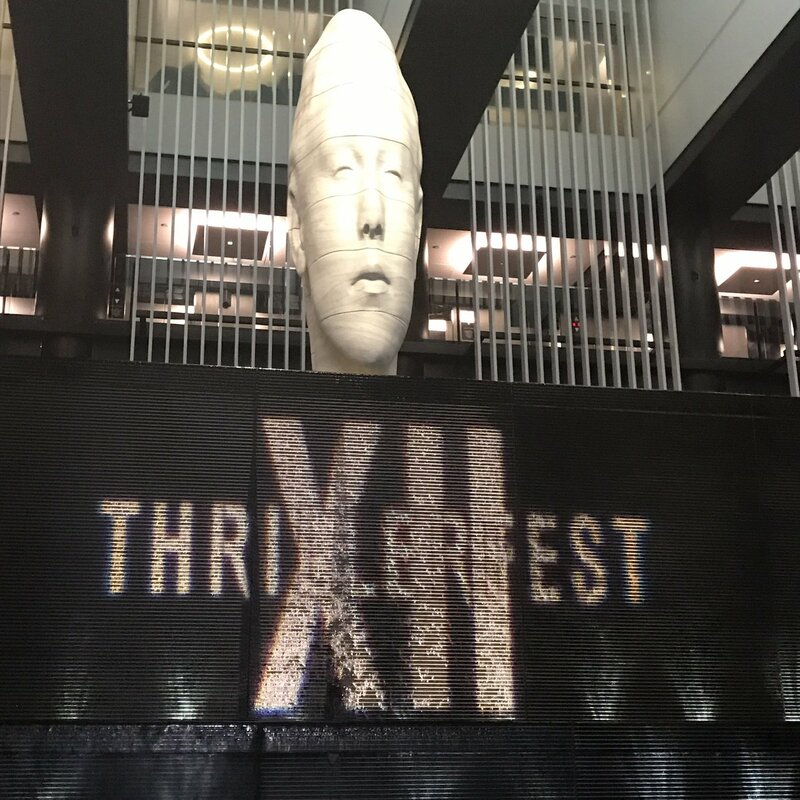 We're here at the Thrillerfest convention in NYC this weekend at the Grand Hyatt. Guests here include Lee Child, Lisa Gardiner, Karin Slaughter, Brad Parks, Steve Berry, Charlaine Harris, Sandra Brown and Peter James. We took a few moments to get in some quick shots. 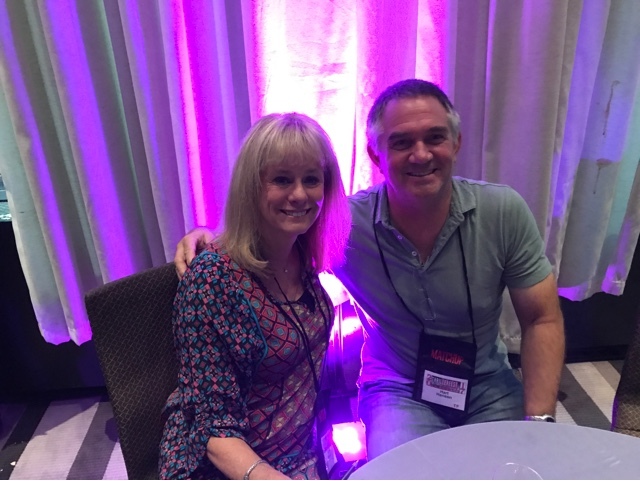 Here's Kathy Reichs, author of the Bones series of books, and the show runner for Bones, Hart Hanson. Hart also has a book out called The Driver. We'll have more on that later. This book looks like fun. 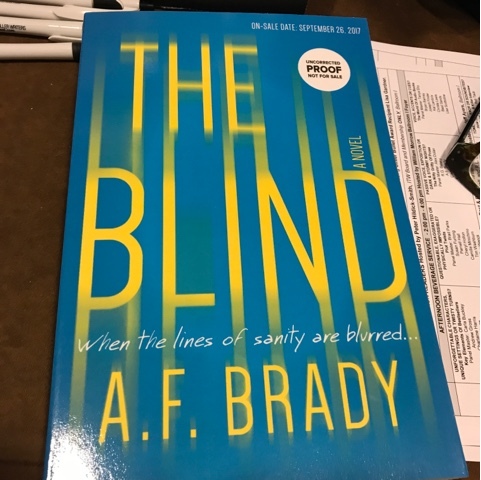 It's psychological suspense about a woman going so far off the deep end she may not be able to get back. 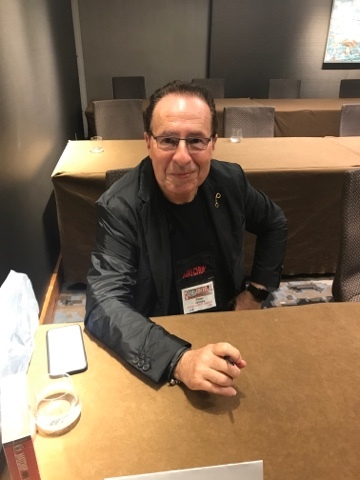 Peter James told me that we have another Roy Grace novel to look forward to in 2018 as well as a standalone novel that I can't wait to read - more details soon. 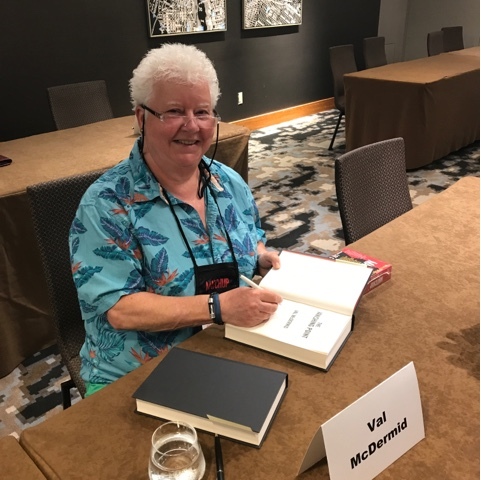 The fabulous Val McDermid signing books. We'll have more on Thrillerfest in the coming days.